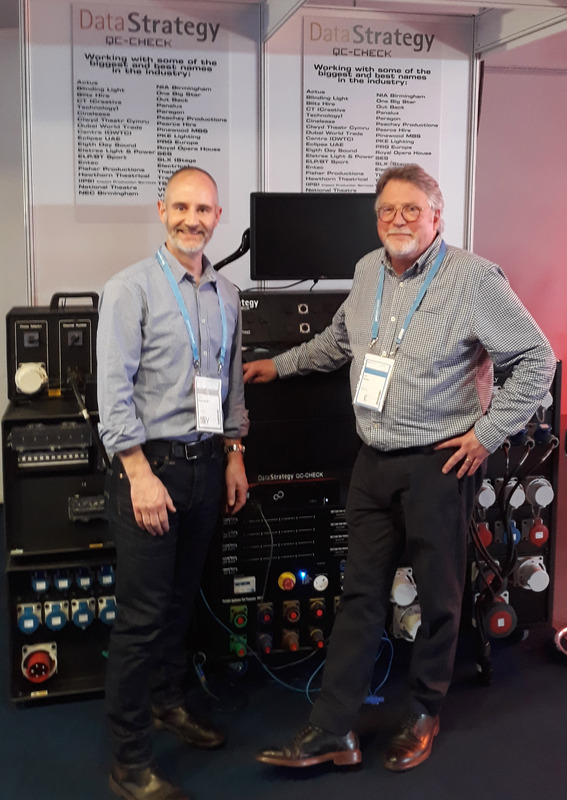 Data Strategy’s Iain Roche and White Light’s Technical Director Dave Isherwood shook hands at ProLight+Sound in Frankfurt on a deal for the first of a planned total of four to six QC-Check workstations, incorporating PAT4 and CAB5 PAT and Cable Test Processors from joint partners, Out Board. QC-Check’s test database and logging software will be fully integrated into WL’s InspHire asset management system, which will provide real-time tracked test results for the company’s entire hire inventory. The first single-bay QC-Check workstation – custom-built by SES Entertainment Services Ltd – will arrive within weeks for installation in the power department. The QC-Check ‘660’ workstation is configured to check a distro’s outputs including those protected by RCDs. For cable testing the heavier high current single phase and 3-phase cables will be positioned conveniently at the front, whilst the low current connectors are mounted on the workstation’s ‘bridge’. WL’s Health & Safety and Workforce Development Director, Chris Nicholls, explains: “The integration side of QC-Check won us over. We know other companies using QC-Check who are very happy with the product: it’s built well, made to last and delivers the goods. The fact that it integrates with our existing asset management system is what we really wanted.